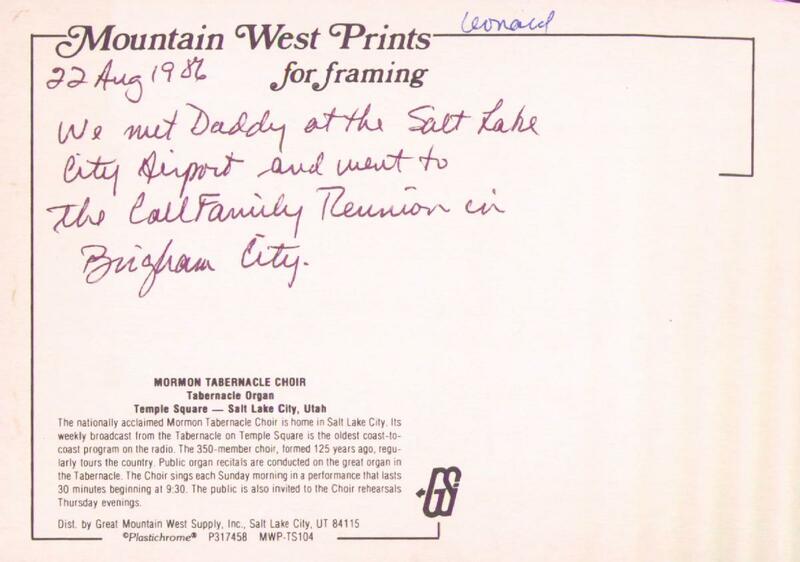 We met Daddy at the Salt Lake City Airport and went to the Call Family Reunion in Brigham City. 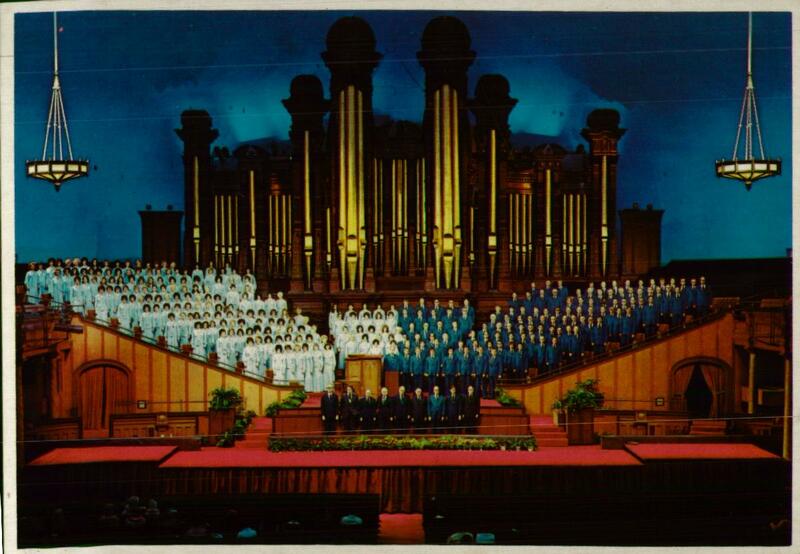 The nationally acclaimed Mormon Tabernacle Choir is home in Salt Lake City. Its weekly broadcasts from the Tabernacle on Temple Square is the oldest coast-to-coast program on the radio. The 350-member choir, formed 125 years ago, regularly tours the country. Public organ recitals are conducted on the great organ in the Tabernacle. The Choir sings each Sunday morning in a performance that lasts 30 minutes beginning at 9:30. The public is also invited to the Choir rehearsals Thursday evenings.